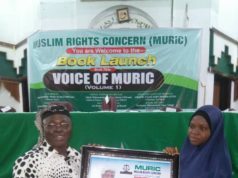 Sixteen-year-old Zainab Muhammad Paris from Adamawa State has emerged as the winner of the 33rd National Qur’anic Recitation Competition that ended in Gombe on Sunday. By her emergence, Zainab, along with Tijjani Goni Danbaba, the runner-up from Yobe State, who emerged overall winner in the male category, would be Nigeria’s representative at the World Qur’anic Recitation Competition to be held later in the year in Saudi-Arabia. Announcing the winners in a well attended occasion that had the representative of President Muhammadu Buhari and the presence of Gombe State Governor among many others, National Coordinator of the Qur’anic Recitation Competition, Centre for Islamic Studies, Usman Danfodio University Sokoto, Dr. Mohammed Yelwa said the winners competed in the memorization of the whole Qur’an with its Arabic translation. 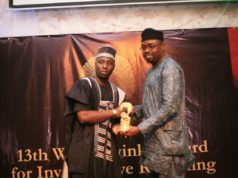 He stated that 344 youths participated in the weeklong competition from 35 States of the Federation including Abuja and that the two winners will both go home with a prize award of a brand new car and N500, 000 each. They will also go home with hand written Qur’an and some Islamic books. President Muhammadu Buhari, who was represented at the occasion by the Minister of Environment, Alhaji Suleiman Hassan Zarma, urged Nigerians to understand that the Qur’an, revealed by Allah, was intended to preach peaceful coexistence among people of the World. He said, “Qur’an teaches us how to live in peace with one another and it is clear that the Qur’an is the greatest encyclopedia which contains all aspects of human life. It also teaches us how to be fair and just to all including non-Muslims”. In his remark at the occasion, Governor Ibrahim Hassan Dankwambo called on the people to continue to live in peace to enable the nation witness giant strides in all fields of human endeavour. According to him, “we must strive to live in peace with one another. We must try and increase our intimacy or relationships which will further strengthen our ties as a nation”. While calling on Nigerians to be of good conduct as the nation prepares for the 2019 general elections, Governor Dankwambo urged the people to shun hate speech and other undemocratic actions that could threaten the country ‘s peaceful coexistence. The Vice-Chancellor, Usman Danfodiyo University Sokoto, Professor Abdullahi Zubairu, organizers of the competition, commended the Gombe state Government for hosting the hitch-free competition and announced that Lagos state would host the 34th edition next year.